FOR SALE AT $80,000 PER ACRE. 25 TO 40 ACRES OF PRIME COMMERCIAL/INDUSTRIAL PROPERTY FRONTING INTERSTATE 41. CLOSE TO THE US 45 INTERCHANGE MAKES FOR GREAT ACCESS AND . . . WASTE AVAILABLE TO SITE = TO BE DETERMINED. FOR SALE AT $80,000 PER ACRE. LOCATED AT THIS PRIME INTERSECTION, THIS PARCEL IS PERFECT FOR A RETAIL/COMMERCIAL OR STORAGE . . . PRICED AT $80,000 PER ACRE, THIS 37+ ACRES PRIME, INDUSTRIAL, COMMERCIAL DEVELOPMENT ALONG INTERSTATE 41 WITH CONVENIENT HIGHWAY ACCESS. SEWER AND WATER AVAILABLE AT . . .
TOWN OF LEDGEVIEW. HEART OF THE TOWN. RAPIDLY GROWING AREA. PROPERTY NEAR THE CORNER OF HWY GV &AMP; HWY G OFFERS EXCELLENT TRAFFIC COUNT. THE SITE HAS EXCELLENT ACCESS . . . ESCAPE TO WISCONSIN! PERFECT FAMILY ESTATE OR HOME BUILDERS/ DEVELOPERS DREAM PROPERTY. SNOWMOBILING, HORSEBACK RIDING, CROSS-COUNTRY SKIING. SHORT COMMUTE TO THE TWIN . . . WASTE AVAILABLE TO SITE = TO BE DETERMINED. PRIME INTERSTATE 41 FRONTAGE FOR DEVELOPMENT. THIS ACREAGE IS IDEAL FOR YOUR INDUSTRIAL WAREHOUSE/DISTRIBUTION NEEDS. SEWER . . . THERE ARE 5 PROPERTY ID'S INVOLVED FOR A TOTAL OF 171 ACRES. IT IS CURRENTLY OPERATING AS A DAIRY FARM WITH 2 WELLS. ONE FOR THE DAIRY AND HOUSE AND ONE FOR THE FARM . . .
INVESTORS DREAM PROPERTY! JUST UNDER 93 ACRES AND PERFECTLY SITUATED ON THE CORNER OF HIGHWAY 76 AND 96, WELCOMES ALL THE SPACE NEEDED FOR YOUR NEXT INVESTMENT. ALL 6 . . . LOCATE YOUR BUSINESS ON THIS 4.66 ACRE WITH FRONTAGE ON INTERSTATE HWY 41. IDEAL SHOVEL READY COMMERCIAL DEVELOPMENT SITE. LOCATED NEXT TO NEW AURORA BAY CARE MEDICAL . . .
SHOVEL READY HOTEL SITE. THIS 2.39 ACRE PARCEL IS LOCATED 200` FROM THE ENTRANCE OF A NEW 190,000 SF GLOBAL HEADQUARTERS OF A FORTUNE 500 COMPANY WITH PARK AND WATER . . . WASTE AVAILABLE TO SITE = TO BE DETERMINED. FOR SALE AT $70,000 PER ACRE. PRIME INTERSTATE 41 FRONTAGE FOR DEVELOPMENT. THIS ACREAGE IS IDEAL FOR YOUR INDUSTRIAL . . . IDEAL INVESTMENT OPPORTUNITY ON HWY 64 IN THE CITY OF NEW RICHMOND! THIS 4.21 ACRE COMMERCIAL LOT IS ON HWY 64 AND ALSO HAS ACCESS FROM NOBLE ROAD. THIS IS A GREAT . . .
RARE OPPORTUNITY TO DEVELOP &AMP; LIVE IN THE FASTEST GROWING COUNTY IN THE STATE! VILLAGE OF HOLMEN, 41 +/- ACRES (3 PARCELS)! ZONED RESID. W/ MUNICIPAL UTILITIES. . . .
GREAT LOCATION! NEXT TO HOLIDAY INN AND ACROSS FROM A PUBLIC GOLF COURSE. LOCATED NEAR THE CORNER OF U.S. HIGHWAY 41 &AMP; STATE HIGHWAY 151, THIS SITE HAS EXCELLENT . . . VERY HIGH VISIBILITY &AMP; GREAT LOCATION!! THIS 4 PLUS ACRE LOT IS ZONED HIGHWAY COMMERCIAL, AND IT SITS VERY CLOSE TO THE BUSIEST INTERSECTIONS OF RIVER FALLS. IT SITS . . . WASTE AVAILABLE TO SITE = TO BE DETERMINED. LOCATED AT THIS PRIME INTERCHANGE OF HWY 26 AND INTERSTATE 41, THIS PARCEL IS PERFECT FOR A RETAIL/COMMERCIAL OR STORAGE USE. . . . EXCELLENT BIG BOX INTERSTATE LOCATION, VISIBILITY, OUTLOTS APPROVED, 4 LANE ROAD, ALL UTILITIES, FIBER CABLE, HIGH TRAFFIC COUNTS, I-94/HWY 63 SE QUADRANT. ADDITIONAL . . . 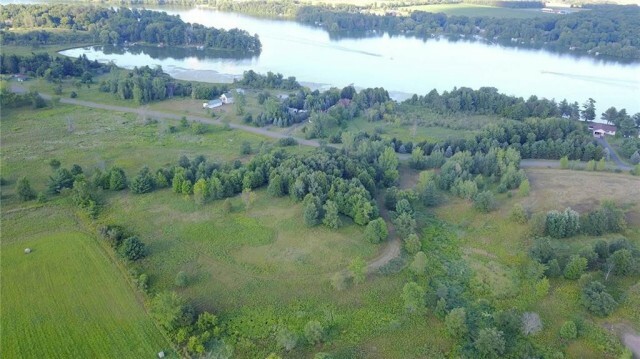 APPROXIMATELY 95 CONTIGUOUS ACRES JUST 4 MILES FROM I-94 INCLUDES A SECLUDED VALLEY FOR A PRIVATE ESTATE OR FUTURE DEVELOPMENT. CURRENTLY PASTURE AND CROPLAND. BROKER IS . . . WASTE AVAILABLE TO SITE = TO BE DETERMINED. 20 ACRES OF PRIME DEVELOPMENT FOR MULTIPLE USES. IN TOWNSHIP AND WOULD NEED APPROVAL. LOCATED OFF US 41 &AMP; STATE 26, SO . . .
PRIME COMMERCIAL VISIBILITY!! AN UNLIMITED OPPORTUNITY BUILD-ABLE LOT FOR EITHER COMMERCIAL USE, SINGLE FAMILY OR MULTI-FAMILY DEVELOPMENT. A RARE FIND, THERE IS CITY . . .
GREAT LOT WITH ENDLESS OPPORTUNITIES. GREAT VISIBILITY FORM INTERSTATE-94 AND HIGHWAY 63. HURRY BECAUSE THIS LOT MAY NOT LAST! 75 ACRES-MOSTLY HIGH GROUND, SOME SLOPING AREAS. GREAT LOCATION FOR NEW HOME AND LEASING REMAINDER OF LAND. CURRENTLY LEASED THROUGH NOVEMBER 15, 2019 AND AT $3720/YEAR. . . . DOWNTOWN WAUTOMA RARE OPPORTUNITY TO DEVELOP ALMOST AN ENTIRE CITY BLOCK.UNLIMITED POSSIBILITIES AVAILABLE WHEN YOU HAVE FRONTAGE ON 4 STREETS. THERE ARE 3 RENTAL . . .
6.2 ACRES ZONED R-4 FOR SALE. PRICE INCLUDES SET OF CONSTRUCTION PLANS AND ENGINEERING FOR 40 UNIT MULTIFAMILY DEVELOPMENT. ALSO INCLUDES STATE APPROVED PLANS TO BUILD . . .
6 ACRES ON CORNER OF STATE 26 AND CTY N. PRIME LOCATION FOR RETAIL, COMMERCIAL OR INDUSTRIAL DEVELOPMENT. ADD ON THE ADJACENT 20 ACRES AND HAVE ROOM TO EXPAND. WATER . . .
AN ATTRACTIVE SETTING WITHIN RIVER FALLS’ FAST-GROWING STERLING PONDS CORPORATE PARK, THIS SITE IS 5 MILES SOUTH OF I94 AND HUDSON, WI. THE SITE HAS GREAT VISIBILITY . . .
HARD TO FIND, BUILDABLE LOT WITH 99� OF WATER FRONTAGE ON THE SOUTH SHORE OF LAKE BUTTE DES MORTS! LOCATED INSIDE BELLHAVEN ESTATES, THIS PROPERTY HAS ALL THE FEATURES . . . VERY POSSIBLY THE NICEST LOCATION AND FRONTAGE ON PREMIER UPPER EAU CLAIRE LAKE. THIS LOT WAS FORMERLY PART OF THE OLD FRASER ESTATE A WELL KNOWN PROPERTY SET ON THE . . .
UTILITIESAVAILABLETOSITE = TO BE DETERMINED. GREAT HIGH VISIBILITY LOCATION ON HWY 29, JUST EAST OF HURON ROAD. FEATURES 11.433 COMMERCIAL ACRES (PER ASSESSOR) WITH . . . INCLUDED ARE 4 LOTS, MOSTLY WOODED IN A PRIME LOCATION! LOTS 2083,2082 ARE ZONED CH(COMM. HWY DISTRICT) ON BADGER COURT. FACES HWY 41 FOR PRIME EXPOSURE. SEE ATTACHED . . . WELCOME TO WHITE EAGLE! WORLD CLASS GOLF, ALL NEW STATE OF THE ART LODGE STYLE CLUBHOUSE OPENS JUNE 2018 3+ AC HOMESITIES OFFERING SPECTACULAR VIEWS WITH INCREDIBLE . . .
I-94 NORTHWEST CORNER, INTERSTATE FRONTAGE LOT, GREAT VISIBILITY, ROOM FOR ELECTRONIC SIGN, EAST OF THE SUPER 8, OVERLOOKS REGIONAL POND, HIGH TRAFFIC COUNTS. ADDITIONAL . . .
AN ATTRACTIVE SETTING WITHIN RIVER FALLS’ FAST-GROWING STERLING PONDS CORPORATE PARK, THIS SITE IS LESS THAN 5 MILES SOUTH OF I94 AND HUDSON, WI. THE SITE HAS GREAT . . . CORNER TO THE ELDORADO MARSH WILDLIFE AREA, GENTLY ROLLING HILLS BACK UP TO THE MASCOUTIN VALLEY STATE TRAIL AND A PEACEFUL STREAM TRICKLES THROUGH PRIVATE WOODLAND. . . . THIS CENTRALLY LOCATED PIECE OF REAL ESTATE WAS JUST ANNEXED INTO THE CITY OF OSHKOSH IN 2018, BUT HAS TOWN OF ALGOMA SEWER. THE CURRENT WELL CAN BE USED, BUT CITY WATER . . . ENJOY 104 FEET OF PURE SAND BEACH ON THE SHORES OF LAKE MICHIGAN. SHORE PROTECTION. QUIET AND PEACEFUL FOR GREAT SHIP WATCHING AND BEAUTIFUL SUNRISES. PARTIALLY WOODED. . . .
GREAT OPPORTUNITY RIGHT ON I-94 AT EXIT 24. 1250 FT OF INTERSTATE FRONTAGE WITH POTENTIAL TO ANNEX INTO THE VILLAGE OF WOODVILLE. THIS PARCEL COULD ACCOMMODATE MANY USES. 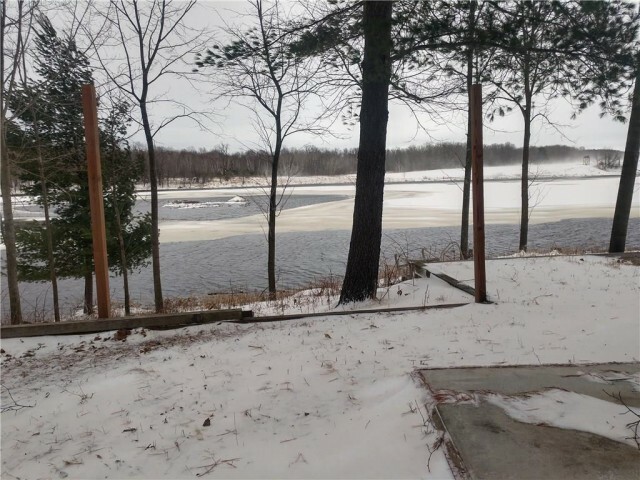 STOP LOOKING FOR THE RIGHT LAKE LOT--THIS LARGE LONG LAKE LOT IS WHAT YOU HAVE BEEN SEARCHING FOR. LONG LAKE IS ONE OF THE BEST FULL RECREATIONAL LAKES IN THE STATE OF . . . WELCOME TO 39.5 ACRES OF RICH FARM LAND ON THE OUTSKIRTS OF THE CITY OF OSHKOSH. JUST DOWN THE ROAD FROM THE LEACH ESTATES, THIS PROPERTY WOULD BE IDEAL FOR THE HOBBY . . .
89ACRES LOCATED BETWEEN WAUTOMA AND NESHKORO. PLENTY OF ROAD FRONTAGE ALONG STATE ROAD 73 TO DIVIDE THE PARCEL UP TO 3 PARCELS. 50ACRES HAVE BEEN CLEARED READY FOR STUMP . . .
2+ ACRES WITHIN FEET OF CALDRON FALLS. THIS RESERVOIR IS A 1063-ACRE FULL REC LAKE WITH BOAT LANDINGS, PUBLIC BEACH AND GREAT FISHING FOR MUSKY, WALLEYE, BASS &AMP; . . .
WOW THIS GORGEOUS WOODED LOT CAN BE SUBDIVIDED INTO 4 PRIVATE LOTS!!! OR JUST BUILD YOUR OWN CASTLE! PRIME REAL-ESTATE IN THIS DESIRABLE AREA WITH WOODS AND PRIVACY. . . . 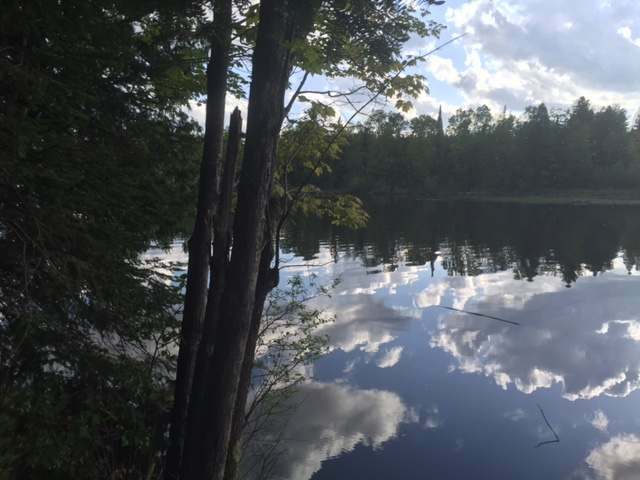 YOUR EXCLUSIVELY PRIVATE DREAM LOT IS AVAILABLE RIGHT HERE ON LITTLE BASS LAKE JUST ACROSS 2 1/2 STREET FROM BEAUTIFUL SAND LAKE. BUY 1 LOT THAT IS WELL OVER AN ACRE IN . . .
A GREAT 80 ACRE TRACT JUST A FEW MILES FROM WAUTOMA. NICE MIXTURE OF MATURE OAK AND RED PINE, SOME OPEN LAND AND ALL HIGH-GROUND. LOCATED IN SECTION 6 TOWN OF WAUTOMA. . . . COURTESY: THE ELLICKSON AGENCY, INC.
ONE OF A KIND LOT WITH TOWERING VIEWS OF ALL BROWN COUNTY. BACKING UP TO DEEP RAVINE AND TRICKLING CREEK MAKE THIS LOT A ONCE IN A LIFETIME OPPORTUNITY TO BUILD YOUR . . . PERFECT HOBBY FARM ACREAGE! NEARLY 40 ACRES OF PRODUCTIVE CROP LAND WITH A SMALL CLUSTER OF MATURE TREES. THERE IS NO CURRENT CONTRACT FOR RENT IN THE 2019 CROP SEASON. . . . THIS IS LOT 3 OF THE BEAUTIFUL NORTH LAKE ESTATES. THIS IS THE LARGEST PARCEL AT APPROXIMATELY 38 ACRES WITH A COUPLE POTENTIAL BUILDING SITES, ONE OVERLOOKING NORTH . . . SPECTACULAR VIEWS AND NATURAL FEATURES MAKE THIS DEVELOPMENT A ONCE IN A LIFETIME OPPORTUNITY TO BUILD YOUR DREAM HOME IN LEDGEVIEW. HARD TO FIND, LARGE ESTATE-SIZED . . .
ALL ARE IN MFL...HOWEVER THE BAYFIELD "40" WHERE PERHAPS THE BEST CABIN/HOME SITE MIGHT BE, ONLY IN SINCE 2016, SO SHOULD BE NO BURDEN TO REMOVE 1-5 ACRES FROM MFL FOR . . . IN CLOSE PROXIMITY TO NEW STILLWATER BRIDGE, HUDSON &AMP; NEW RICHMOND. ALSO CLOSE TO THE ST CROIX RIVER AND WILLOW RIVER STATE PARK. GREAT OPPORTUNITY TO OWN A LARGE . . .
HIGH TRAFFIC COMMERICIAL BUILDING SITE! OVER 1,200 FT OF FRONTAGE ALONG STATE HWY 22, 3.4 ACRES, GREAT HIGHWAY ACCESS, ALL UTILITIES AVAILABLE, READY TO BUILD. A 3 ACRE PARCEL WITH +/- 12,500 VEHICLES PER DAY DRIVE BY ON HWY 29. THIS LOT IS AT THE INTERCHANGE OF 4 STATE HWYS 29-47-55 &AMP; 117. ALL UTILITIES ARE AT THE LOT. . . . 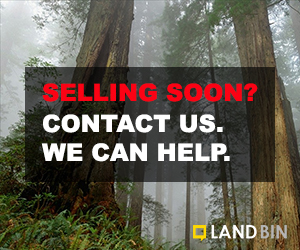 SELLER WILL SURVEY OFF 1 ACRE AND THERE WILL BE AN ADDITIONAL 1 ACRE AVAILABLE. COMMERCIAL FINISHED LOT. REAL ESTATE TAXES ARE ESTIMATED (I USED 1/2 OF EXISTING 2 AC LOT . . . LOCATION, LOCATION, LOCATION ! PRIME COMMERCIAL LAND ON BUSY STATE RD 70 JUST EAST OF THE "ROUND ABOUT". 28+ ACRES. OLDER FARM HOUSE &AMP; BARN ON SITE. LISTED AS VACANT . . . 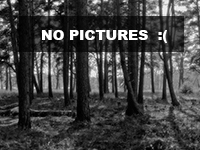 THIS IS A HUGE WOODED LOT AND CAN BE SPLIT INTO 2 LOTS!!! READY FOR YOUR NEW CASTLE? LOVELY NEW CUL-DE-SAC LOT, IN BEAUTIFUL HOWARD AREA. DEVELOPER WILL ASSIST IN SOME . . .
BEST OF BOTH WORLDS - WINDWARD ESTATES. LOCATED ALONG THE LEDGE OF THE NIAGARA ESCARPMENT THIS AREA OFFERS SOME OF FOND DU LAC'S MOST BEAUTIFULLY SCENIC AND WELL PLANNED . . . IF YOU LOVE PRIVACY, SCENIC VIEWS, BEAUTIFUL MATURE HARDWOODS WITH GENTLE ROLLING HILLS THEN WHISPER VALLEY ESTATES IS THE EXCLUSIVE NEIGHBORHOOD FOR YOU. YOU'LL HAVE . 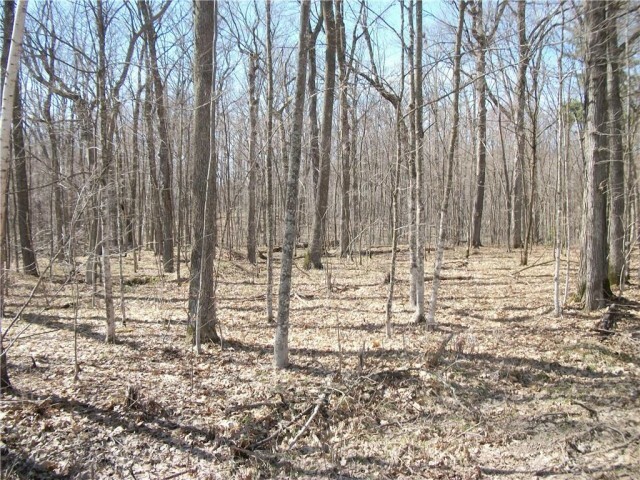 . .
75 ACRES OF WISCONSIN HUNTING LAND READY TO USE WITH CAMPER AND POWER. 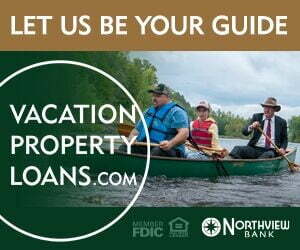 HIGHLIGHTS OF THE PROPERTY ARE FRONTAGE ON THE LILY RIVER, ADJOINING NATIONAL FOREST AND ELEVATED, . . . EXCELLENT BIG BOX INTERSTATE LOCATION ON INTERSTATE 94. UPGRADE YOUR VISIBILITY, ALL OUT-LOTS APPROVED, ALL UTILITIES, FIBER CABLE, HIGH TRAFFIC COUNTS ON I-94 AND HWY . . .
SECLUDED ON A DEAD END ROAD, THIS 73.49 ACRE PARCEL IS THE PERFECT HUNTING AND RECREATION PROPERTY! SET IN A GREAT LOCATION ONLY A FEW MINUTES SOUTH OF OSCEOLA, THIS . . .
PRISTINE WOODED BLUFF LOT OVERLOOKING GREEN BAY WATERS. THIS IS A PERFECT OPPORTUNITY TO BUILD YOUR DOOR COUNTY HOME. PRIVACY IS GUARANTEED ON THIS DEAD END RESIDENTIAL . . . LOT #2 IN WHITEFISH BAY ROAD ESTATES. A PRISTINE WOODED BLUFF LOT OVERLOOKING BEAUTIFUL GREEN BAY WATERS. 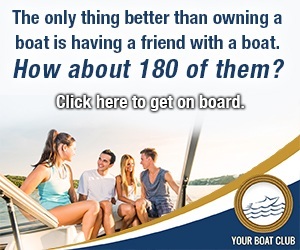 THIS IS A PERFECT OPPORTUNITY FOR YOU TO BUILD YOUR DOOR COUNTY . . .
PRIME COMMERCIAL SITE: EXCELLENT VISIBILITY &AMP; EXPOSURE PAVED ST LEVEL LOT, STATE HWY 141 DOUBLE LANES OF HIGH TRAFFIC COUNT DAILY! CORNER GOOD FOR GAS STATION . . . THIS LOT WILL BE SURVEYED TO 1.4 ACRES, THE REMAINING 1.4 ACRES WILL BE AVAILABLE. COMMERCIAL FINISHED LOT. REAL ESTATE TAXES ARE AN ESTIMATE (I PUT 1/2 OF FULL 2.8 ACRE . . .
GORGEOUS 4 ACRE RAVINE LOT IN MARY LEE ESTATES, COUNTRY SUBDIVISION LOCATED BETWEEN GREEN BAY AND APPLETON. WOODED BACKDROP WITH PEACEFUL APPLE CREEK ALONG REAR OF THE . . .
6.75 COMMERCIAL ACRES ON US HWY 8 JUST EAST OF THE STATE LINE, IDEAL LOCATION FOR YOUR NEW BUSINESS OR INVESTMENT. THERE IS ALSO ACCESS OFF OF 200TH STREET. WELCOME TO HUNTER HILLS ESTATES, HUDSON'S NEWEST NEIGHBORHOOD! PEACE AND SERENITY AWAIT, FIND YOUR NEW HOME SITE IN THIS BEAUTIFUL WOODED AND ROLLING NEIGHBORHOOD WITH . . .